The exhibition at the Gregory Allicar Museum of Art at Colorado State University features selections from the Joann Gonazalez Hickey collection. 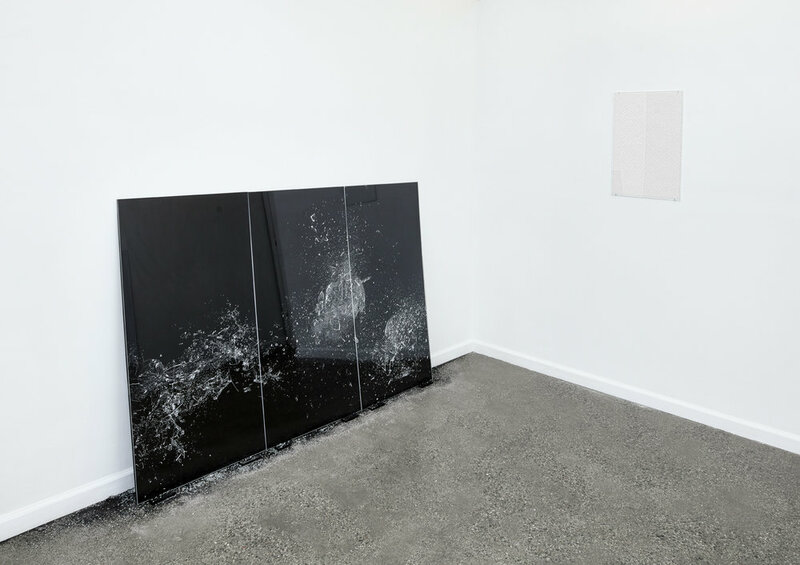 Spatial Flux explores how space is created and destroyed on a two-dimensional surface through the process of drawing or other mark-making practices. 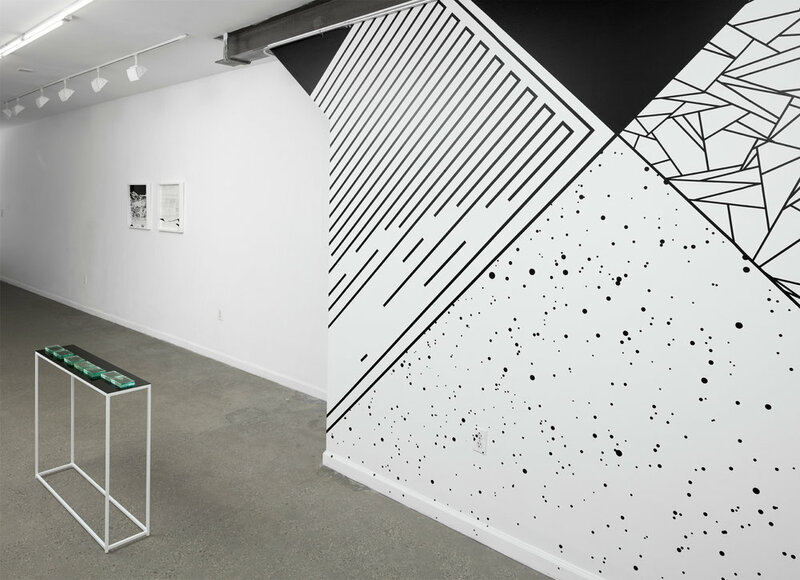 Spatial Flux is made possible through the curatorial and study platform established around the Hickey collection, known as SYZYGY (syzygy-nyc.org). "Return to Me" features cosmologically-inspired drawings, photographs, engraved glass, large-scale murals, and sound. With meticulous detail, a stark black-and-white palette, and dramatic shifts in scale, Urías creates work inspired by her belief that dust, if examined closely enough, "could tell the story of everything that ever existed." This work speaks to both origination and aftermath, and is permeated by images of fragmentation, entropy, and the ethereal. Join ArtBridge on May 19th for their 5th Annual Art Auction, honoring artist Tatyana Fazlalizadeh. Bid on 40 works of art from NYC-based artists. Proceeds benefit ArtBridge's programs to support emerging artists and transform public space. Open bar + hors d'oeuvres + DJ Miss Guy. Generously hosted by A+E Studios, a Tribeca gallery that supports emerging artists. The AIM biennial features work by New York area emerging artists who participated in The Bronx Museum of the Arts’ Artist in the Marketplace (AIM) program in the last two years. Anna Ablogina, Manal Abu-Shaheen, Keith O’Neil Anderson, Erica Bailey, Bryan Balla, Chloë Bass, Hannes Bend, Rebecca Bird, Sophia Chai, Xinyi Cheng, Felix R. Cid, Dexter Ciprian, Tim Clifford, Adrian Coleman, Corydon Cowansage, Mike Crane, Donald Hải Phú Daedalus , Cat Del Buono, Jamie Diamond, Patricia Domínguez, Glenn Fischer, Nicholas Fraser, Yoav Friedländer, Borinquen Gallo, Ian Gerson, Shanti Grumbine, Ronald Hall, Nicholas Hamilton, Tahir Hemphill, Tracie Hervy, Lucia Hierro, Samantha Holmes, Traci Horgen, Maria Hupfield, Tatiana Istomina, Ariel Jackson, Ian Jones, Tasha Lewis, Anya Liftig, Eleen Lin, Sharon Ma, Daniel Mantilla, Eden Morris, Meredith Nickie, Tammy Nguyen, Julie Nymann, Sarah O’Donnell, Dionis Ortiz, Mitch Paster, Armita Raafat, Kameelah Janan Rasheed, Friederike Reveman, Carlos Rigau, Gamaliel Rodriguez, Sarah Ellen Rowe, Michael Shultis, Rob Swainston, Erik Shane Swanson, Martyna Szczesna, Rica Takashima, Catherine Telford-Keogh, Denise Treizman, Ryan Turley, Jessica Vaughn, David Gregory Wallace, Lindsey Warren, Margaret Inga Wiatrowski, Didier William, David J. Wilson, Ezra Wube, Christine Wong Yap, and Brian Zegeer. The Artist In the Marketplace program and Bronx Calling: The Third AIM Biennial are supported by the Jerome Foundation, The Laurie M. Tisch Illumination Fund, and The O'Grady Foundation, as well as Franklin Boyd, Deborah Buck, Jennifer and David Feldman, Steven Fisher, Cher Lewis, Teresa Liszka and Martin Weinstein, James Patterson, Carole Server, and other individuals. Looking forward to joining this small community of five artists/writers in Ithaca, NY to make new work this fall. I'm so grateful to be a recipient of this year's Ruth and Harold Chenven Foundation Grant. The Foundation gives unrestricted cash awards to individual artists for the continuation of their work. "No More Place" runs October 9-19 and features works of art from: Anna Ablogina, Hannes Bend, Patricia Dominguez, Glenn Fischer, Shanti Grumbine, Nicholas Hamilton, Samantha Holmes, Maria Hupfield, Tatiana Istomina, Tasha Lewis, Eleen Lin, Sharon Ma, Julie Nymann, Gamaliel Rodriguez, Sarah Rowe, Catherine Telford-Keogh, David Gregory Wallace, Margaret Inga Wiatrowski, Didier William, and Brian Zegeer. This show will combine video installations, site-specific murals, sculpture, ceramics, photography, drawings, paintings, paper cuts, and collage by various artists from the New York area who met through The Bronx Museum's Artist-in-the-Marketplace (AIM) program in 2014. The work interrogates the breakdown of spaces, structures, and hierarchies in contemporary cultures. The artists question what it means to be placed. To have a place. To be ranked. To have a certain identity. To be stable. To have a viewpoint, a location, an orientation. They use various media to respond to new technologies, personal and cultural narratives, and environmental shifts. Opening Friday, October 10 at 6:00pm - 10:00pm, in conjunction with Gallery Aferro. Opening reception: Friday, Sept. 20, from 6-8 p.m.
Related Programs: Meet & Make: Migratory Marks: Meet artists featured in this exhibition and make art inspired by their work. This free event will offer art projects for the whole family. Sunday, Oct. 27, 2-4 p.m.
Saturday September 7, 2013 2-4 p.m. Artist panel and talk moderated by curators Margot Spindelman and Michael Davis at City Without Walls, Panelists Include: Margaret Inga Wiatrowski, Rick Klauber, JC Lenochan, and Randall Stoltzfus. In the same way that live performance brings light to the written word, drawing is invested with emotion. This heightened articulation, this deep looking that is drawing changes a presumed space into hyper-real representation of what is hidden to the casual looker. Perhaps the oldest drawings known to us are cave paintings. Unsteady Ground is an attempt to show a group of artists whose work is a portion of this wide variety of drawing, the continuation of an ancient human impulse. I am so pleased to be a recipient of the Pollock-Krasner Foundation Grant. The Pollock-Krasner Foundation was established in 1985 for the sole purpose of providing financial assistance to individual visual artists of established ability through the generosity of the late Lee Krasner, a leading abstract expressionist painter and the widow of Jackson Pollock. Since 1985, the New York Foundation for the Arts has been supporting emerging artists through its prestigious fellowship program, which has buoyed now-celebrated figures from Andres Serrano to Christian Marclay when they were still unknowns. Today Artspace is proud to announce a historic partnership with NYFA, offering work by more recent recipients of its fellowships—offering members a chance to collect promising artists at critical points in their careers. NYFA talks to Margaret Inga Wiatrowski (2011 Printmaking/Drawing/Artists Books Fellow) about her trajectory as an artist and the influence of Hurricane Sandy on her work. She also contextualizes some of her new work on display at NYFA and chashama's After Affects: Hurricane Sandy Exhibition. 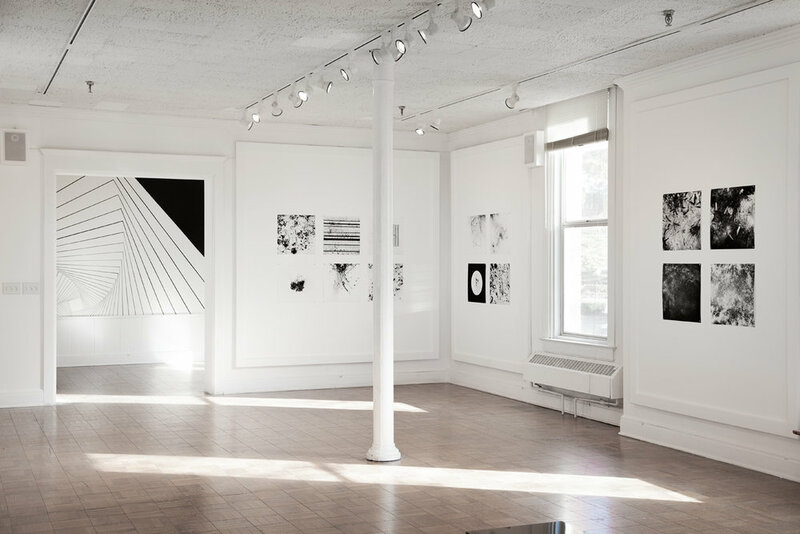 Chasama Exhibition Space: After Affects, Curated by NYFA’s Curatorial Program, New York, NY. Come by my studio for the Brooklyn Museum’s GO! project this weekend, Saturday and Sunday September 8-9. I’ll be in my studio all day, from 11am-7pm both days. Come see what I’ve been working on! The show will close in Mid - December. See you there! Postmedieval: Vol 2, Issue 1, "The Animal Turn"